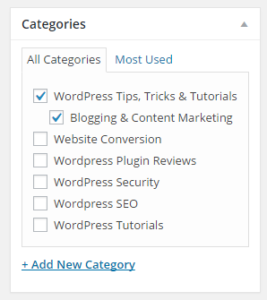 How many WordPress categories should I have? Can I have one post in multiple categories? 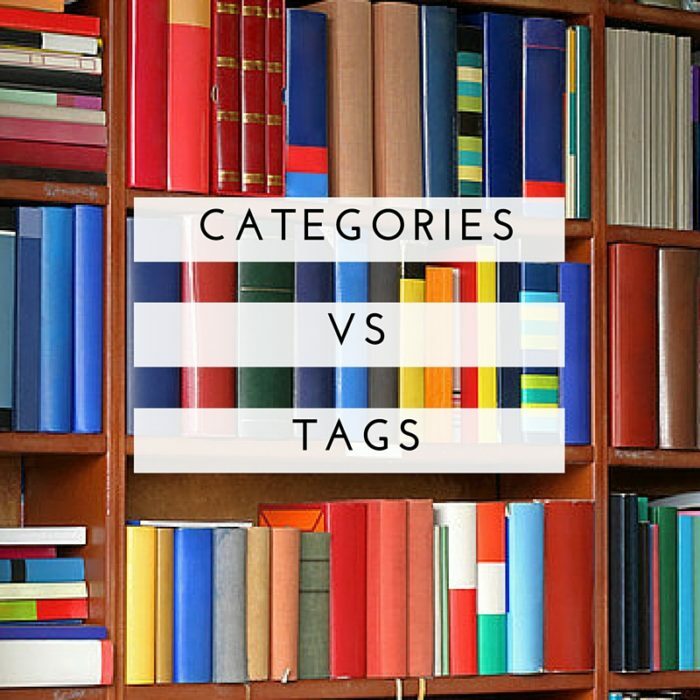 What’s the difference between categories vs tags for SEO? Is adding lots of tags good for SEO & keywords? 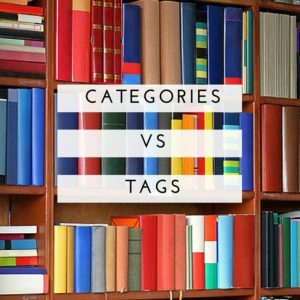 What are categories and tags exactly? In WordPress a taxonomy is a way to group things together. There are many, but the purpose of WordPress category and tag taxonomies is to organise your posts into related groups, improving the usability and navigation of your website. Think of WordPress categories like the chapters of a book. Let’s say, for example, that you have an Australian travel blog. An example of the way you use categories to label your content could be to categorise by city. So a post about open gardens in Melbourne would fall under the “Melbourne” category, or a post about Italian restaurants in Sydney would fall under “Sydney”. Tags, however, work like the index at the back of a book and can be more precise than a broad category. This means that a blog post for Italian restaurants in Sydney might be tagged with terms such as “Italian food”, or “Sydney restaurants”. When considering the categories that your blog posts fall into, stick to separating your content with very broad strokes. There is no optimal number of categories to use, but it is best to start with generic categories, and then add subcategories as your content builds. This will help your readers to navigate your content in a more organic and natural way. There’s no point having fourty WordPress categories for five posts. A home improvement blog might have categories such as landscaping, interior design, renovating. For a beauty blog, the categories could be skin care, hairstyles, and fashion. WordPress makes the job of categorising content pretty easy. When you create a new blog post, you can choose from a list of categories you have created, or add a new category, in the right hand sidebar. Labelling your content with tags as well as categories is a useful practice too. This is because it helps people with a niche interest to find the blog posts that are most useful to them. Say, for example, that you have a food blog, and while veganism might not be a major feature of the blog, you have some vegan recipes. Labelling those posts with the “vegan” tag will help any person looking for vegan recipes to locate them very quickly. Adding and using tags in WordPress is just as simple as categories. They can be added whenever you create a new post in WordPress in the right hand sidebar. 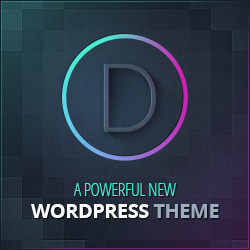 You should also choose a theme and plugins that highlight your tags in ways that make them easy to find. Research your categories with keyword tools such as Google’s keyword planner to ensure your using the same words and phrases as your readers. Your category structure should follow your SEO strategy. Add descriptions of categories for your readers (under Posts -> Categories). This also helps build unique content on the category page. Overuse of categories and tags can lead to serious issues for your website’s search engine optimisation (SEO). Adding the same posts to many categories or tags creates pages with exactly the same content. Google views this as duplicate content and it can harm your rankings. 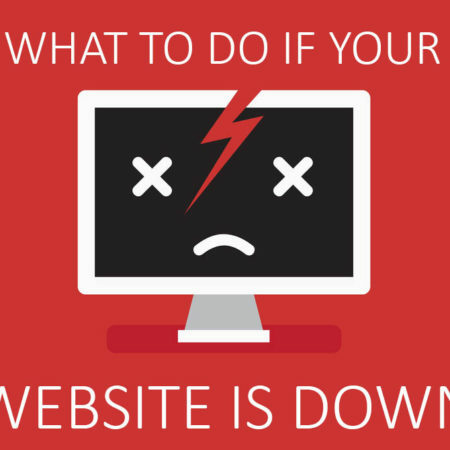 Visitors will be frustrated to find the same content on different pages and leave your website. 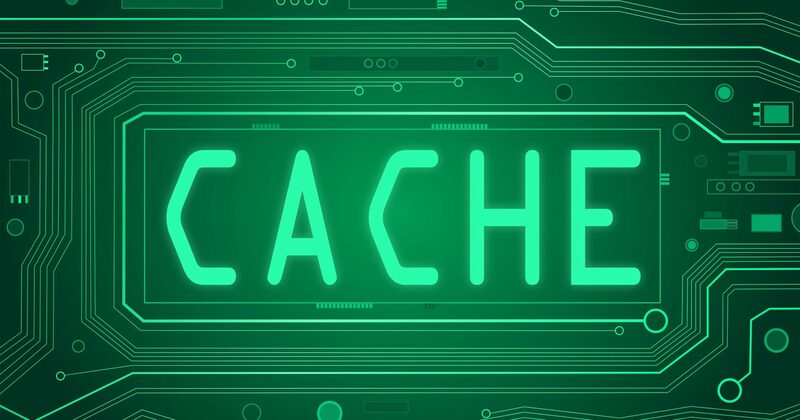 If you want to use lots of tags but avoid any duplicate content penalties then simply ‘noindex’ your tags using the WordPress SEO plugin by Yoast. The best approach is to avoid the temptation to add categories for all of your keywords, or tags you might need on the future. Add categories and tags only when they are useful. Ask yourself, will the page be unique? Will it deliver the information the category or tag name suggests? Taking this approach, you avoid create duplicate content issues, and your website structure can grow and evolve organically. Happy blogging! Thanks for dropping by Denis!